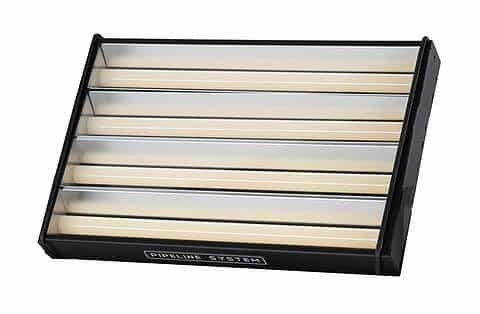 Pipeline RAW 1-Foot 4 Bank is in small size makes it easy to fit in a small grid or a suspended ceiling that small studios typically have to settle for. If you only have i.e. 8 feet (2,4 meters) ceiling height, the 1 foot 4 bank wont interfere with your picture framing, and its low weight ensures you won´t ruin the ceiling. So if you want your shareholders to participate in your board meetings, you can simply turn your conference room into a conference studio by rigging a couple of Pipelines in the ceiling, and then doing the meeting Live on Facebook.